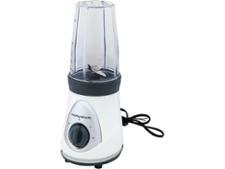 Morphy Richards Nutrifusion Blender 403041 blender review - Which? 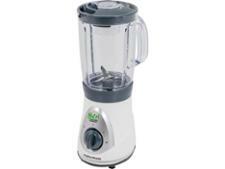 The Nutrifusion Blender 403041 comes with a blending cup that allows you to take your drinks on the go. But can it actually succeed with a variety of recipes? 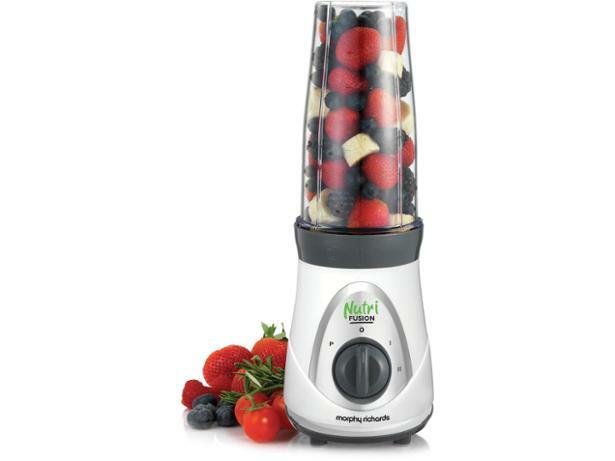 These are our first impressions of the blender 403041, based on our know-how from testing other Morphy Richards blenders, including a very similar blender, the Nutrifusion 403043. Our expert guide explains how to choose the right blender for you, including what to spend and whether a juicer or soup maker might be a better option. Plus see how personal blenders like the Nutribullet compare to jug blenders. Nutribullet - is it worth it? Nutribullet blenders are a popular choice, but will a cheaper rival do the job just as well? Find out if we think Nutribullets are worth the hype with our verdict on Nutribullet blenders and round-up of the best alternatives. Blender, juicer or smoothie maker? 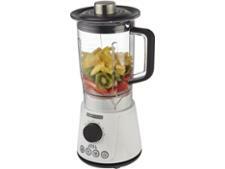 Not sure which blender, juicer or smoothie maker to buy? Our expert guide compares the pros and cons. Plus, is a Nutribullet-style blender really better? And can you use a blender for juicing or a juicer to make a smoothie?